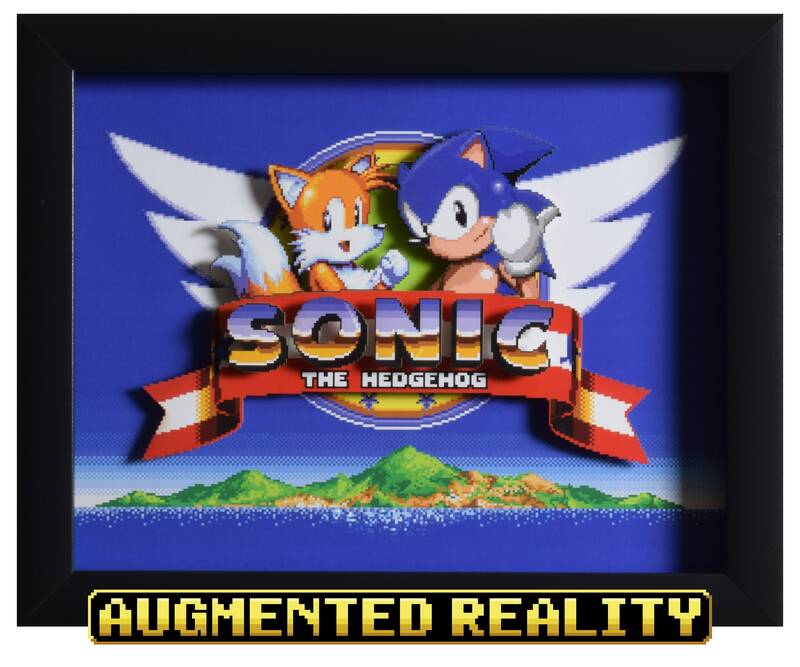 Video Game Shadow Box presents Sonic The Hedgehog 2 (Sega Genesis) - "Title Screen"
This beautiful title screen is forever burned into my brain from all the times I used to draw it as a kid. The mountains over the water are so enticing that you just can't wait to jump in and start playing. Astute observers may notice that the '2' is missing from the title. This was an intentional decision to show more of the beautiful landscape in the background. This screenshot was taken before the '2' pops up, so it's still canon! Besides, everybody knows that its Tails who defines the sequel, not the number. Absolutely lovely. My boyfriend adores it and hung it in his game room. The quality is excellent. Top quality product and shipping, I love ordering from this shop! This shadow box is amazing! I received this item super quick and it was packaged amazingly so it arrived in PERFECT condition. I had order this item for my boyfriend for Christmas...well it didn't quit make it till then, i had to let him open it early and he LOVED it :] We will definitely be ordering more items!